Cameroonian Ten Famous Cameroon People. Cameroonian (plural Cameroonians) is what Cameroon people are called. feminine gender: Camerounaise (plural form Camerounaises). Cameroon people are in various works of life and some maybe very influential. Learn about the usage of credit cards, Debit Cards and other electronic payment options available in Cameroon, Africa. On this page we present you with some of the well known Cameroon people. Check the various categories listed below and you maybe surprise you know some Cameroonians already. Its rather ironical that a small central west Africa country has such prominence on the world stage. Drop us you thoughts. As always, we love to hear from you. is a world renowned music legend from Cameroon. 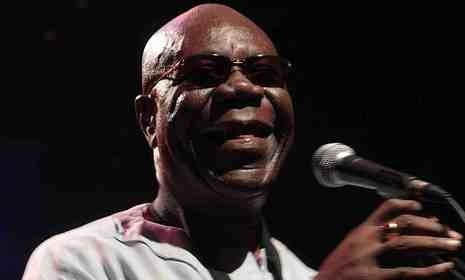 Manu Dibango has made a profound influence on music and musicians in almost all continents. From the likes of Micheal Jackson to young talented local Douala Cameroon musicians today. Roger Milla (Roger Miller) is a world football legend. Named 125th best living soccer player, Roger Milla is truly such. With an active football career from 1968 at age 13 to 1997 at age 43, Roger Milla displays sportsmanship at its best. 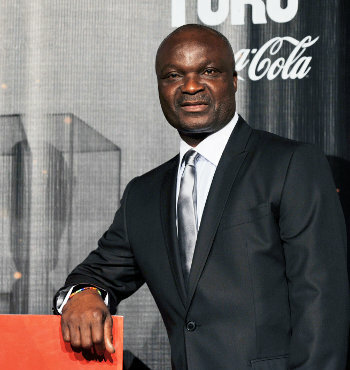 Three Football world cup appearances with goals in all three, Roger Milla caught the world and his own country Cameroon off guards by scoring three goals in the 1990 soccer world cup in Italy at age 38. Being a national hero, Roger Milla is today Cameroon Roving Ambassador - a lifetime appointment. What an honor. Samuel Eto'o Fils - is from Cameroon. 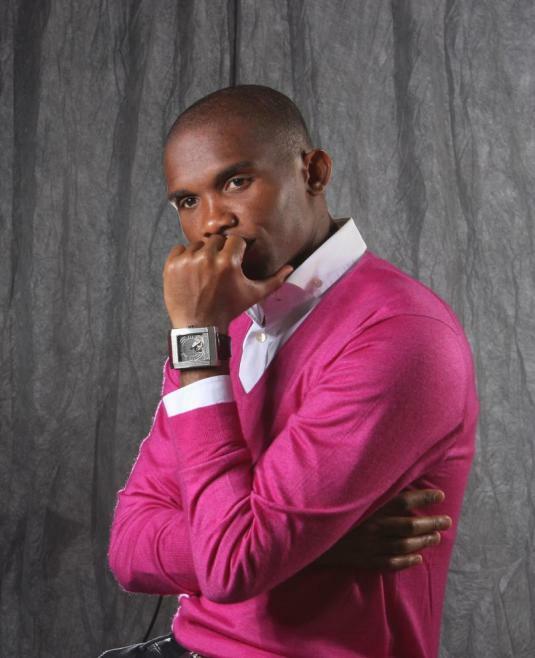 Samuel Eto'o Fils is a phenomenal football (soccer) player. and the list is endless and is still being written. Ranking 75th on web-VIPs, Samuel Eto'o Fils is the first Cameroonian even to make it in to the web-VIP list of top 100 world internet most important persons. Patrick Mboma, Cameroon football star striker. Thomas Nkono legendary Cameroon football goalkeeper. 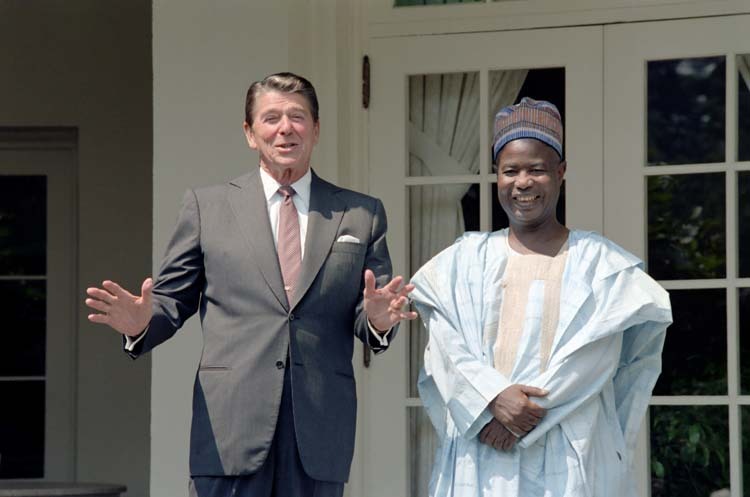 Amadou Ahidjo: Pioneer President of Cameroon. Credited with gaining Cameroon's independence from France and unifying British and French Cameroon. 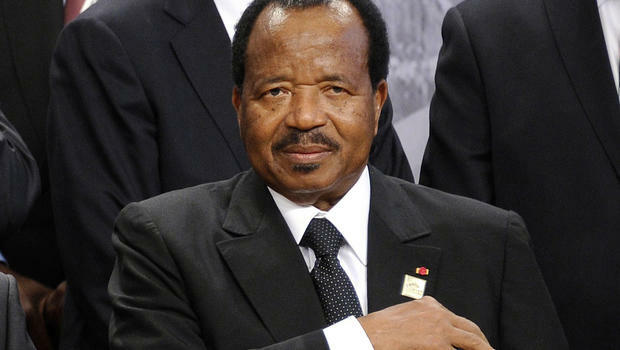 Paul Biya: Second President of Cameroon. Known for his unique tact and method in diplomacy. Credited for peaceful handling of Bakassi peninsula deal with Nigeria at the International Court of Justice -ICJ. Also acclaimed for gaining the most for Cameroon with Cameroon's vote on the UN Security council on war with Iraq. Chantal Biya: Chantal Biya is the current first lady of Cameroon. As Cameroon's first lady since 23 April 1994, Chantal Biya has pioneered several initiatives in Cameroon and established many charitable organizations in Africa. Chantal Biya, based on her actions, is very much interested in healthcare and fashion industries of Cameroon. Through her Chantal Biya Foundation she sponsors many health care initiatives on the cure and better healthcare for HIV/AIDS patients worldwide. 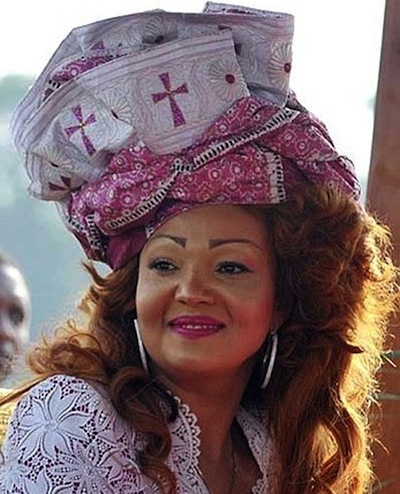 Chantal Biya is famous for her unique and awesome state-style dressings, customs and hairstyle (Banane). Frank (Franck) Biya, President Paul Biya's Son; popular first family member. Meet and chat with Cameroon people. Got questions about Cameroon? Let people from Cameroon answer your questions and make lasting friendships in the process. We provide you with states, metros and cities where to find Cameroonians. ﻿Check out the map and see if you live nearby, then chances are you may have people of Cameroon living "next door". The internet has brought Cameroon online. There is a vibrant and lively chat forum of hundreds plus people of Cameroon from all works of live. Sign up, get into a chat room and be sure to ask questions. Cameroon people - for sure, will be trailed to answer your questions. We believe its still a free forum and open to all. Be sure to check. Tell the world about your Cameroon Hero? Share it! Write here about you Hero. Who he/she is, what they did, and why you think they should be included here. HE IS A VERY STRONG PERSONALITY I KNOW HE WOULD ONE DAY BE THE MOSES OF MANY!!!!!!!!!!!!! He spent half his life devoted to the Cameroonians while doing music and he also was a clown.